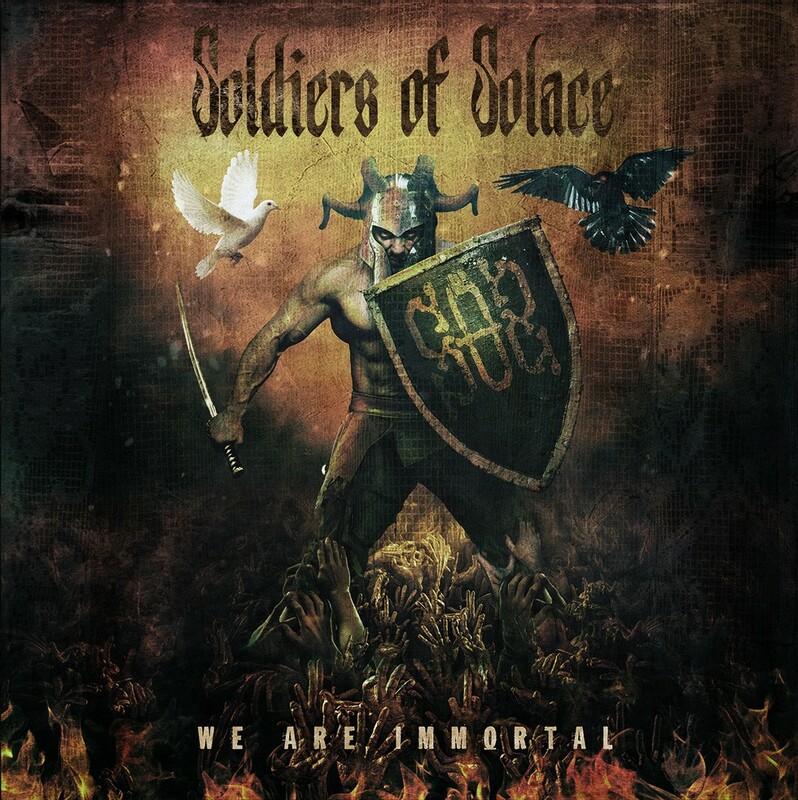 Connecticut's Soldiers Of Solace Release Video For "We Are Immortal"
The album includes 10 tracks and was produced by SOLDIERS OF SOLACE, recorded at Dexters Lab Recording LLC by Nick Bellmore and Zeuss. All tracks were mixed and mastered by Zeuss. The cover artwork was made by Andy Pilkington of Very Metal Art (Soil, Flotsam & Jetsam, Fury, Kissin’ Dynamite, Bloodstock Festival). SOLDIERS OF SOLACEis an all original, hard-hitting, American heavy rock band, comprised of five members: Jason Longo on vocals, Ron Therrien on bass guitar, Luis Cubille on rhythm guitar, Jeff Fahy on lead guitar and all the way from Italy, Francesco Daniele on drums.